Just looking for a driveshaft spacer for an N/A Diff flange (7260 series flange). I Just popped on a Toyota slip-yoke and it fits almost perfectly, it's just 1" (the yoke sticks out 2" instead of the desired 1") shorter than I would like it to be. I did this awhile ago, and was just trying to be the most cost effective. Iv'e looked around for awhile online to find one for our cars, but unfortunately iv'e come up short. If anyone knows of one that's out there please let me know! If not, I guess ill just go develop a part drawing and have someone machine it for me. 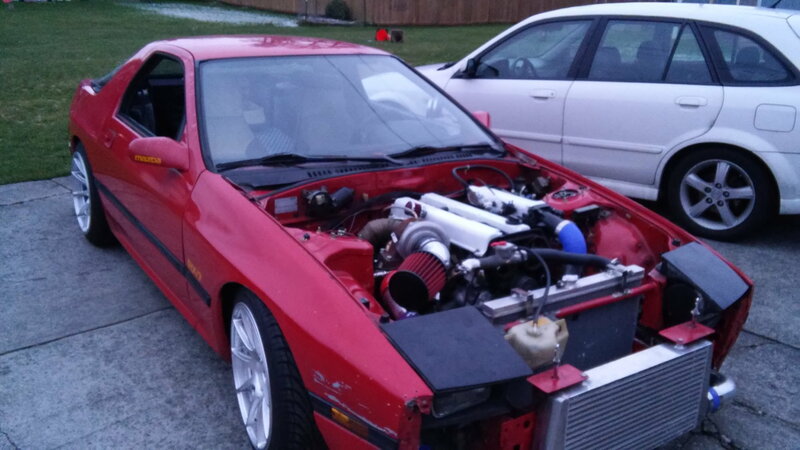 1987 RX-7 FC S4 N/A Chassis. - Bunch of suspension crap, etc. Did most of the fab work myself, except for the shifter extension, built the mega squirt, wired, and put a base tune on it. Anyway, just looking for a driveshaft spacer! Sorry my photo quality is so poor. 1987 Turbo II fires but dies instantly, What to check for?